“This is nothing more than a poorly executed PR stunt by Comey to desperately rehabilitate his tattered reputation and enrich his own bank account by peddling a book that belongs in the bargain bin of the fiction section,” she said during the White House press briefing. 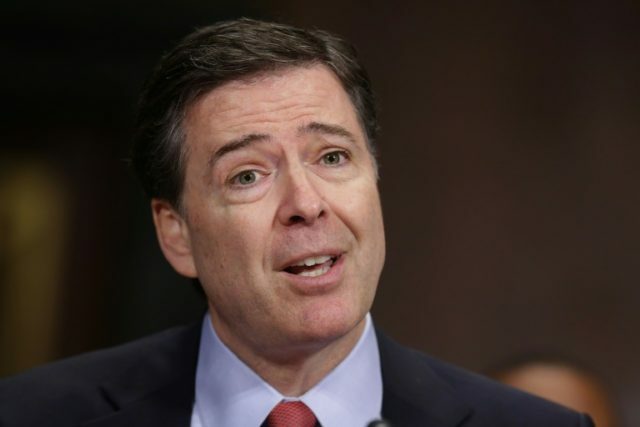 Leaks of Comey’s book were released on Thursday and Friday ahead of the book’s release in stores and online on Tuesday. Sanders said that Comey had become a “disgraced partisan hack” who broke the trust of President Trump, the FBI, and the American people. “I think it’s very clear that Comey has a credibility problem,” she said, highlighting multiple leaks and untruths connected to the former FBI director. Sanders added that both Republicans and Democrats attacked Comey under various circumstances and he did not have their confidence any longer. “One of the President’s greatest achievements will go down as firing Director James Comey,” she concluded. Sanders criticized the reporters and the media for their obsession with Comey.